London has always been a city at the forefront of innovation and progress. As an ever growing urban center, it is particularly critical for London developers, businesses, and young minds to consider the implications of our expanding resource use. This tour it not only a wonderful introduction to this top-tier city, but a way to learn and witness how eco-advocates of all sorts are working towards a more sustainable, greener future. Specialized Tour – Explore the site of London while learning how buildings were designed to be more environmentally friendly. Sustainability Visits – Stop and meet with executives and representatives from business and nonprofits working to promote and implement greener practices around the city. Visit to The Crystal – Recognized as the world’s most sustainable buildings; also home to the largest exhibition on urban sustainability in the world. University Lecture – Sit in on a university lecture as great young minds learn how to introduce entrepreneurship into sustainability practices. Visit to BedZed - U.K.’s first ever sustainable eco-community, BedZed generates all of its energy from renewable sources on site. 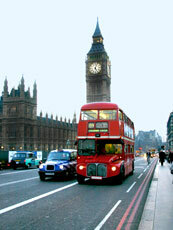 Upon arrival in London, meet your private coach for a transfer to your accommodations. Drop off your bags and head to the program headquarters for an orientation session. Your session will cover safety and health, a how to for public transportation, and helpful travel tips for your stay. 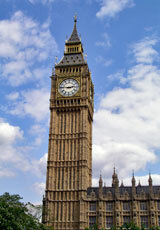 Afterwards, hop on your private coach for a guided tour of London. The tour is a terrific introduction to the city and its history, but your guide will also point out London architecture and how buildings were designed to be more environmentally friendly. Don’t forget your camera; there will be plenty of photo ops. Return to the hotel for some rest and relaxation. Start the day with a visit to London’s Science Museum. Your visit will focus on two exhibitions in particular, the Atmosphere Gallery and the Energy Hall. This morning’s stop will be a great preface to this afternoon’s lecture. Your faculty leader will discuss British life and culture with a focus on sustainability and environment. This morning, you will pay a visit to one of the UK’s most socially responsible retailer. After exploring the store, learn why the UK Government has recognized this particular business for their efforts to protect the environment. This afternoon, meet with a nonprofit that works to support, to promote and to connect businesses with community-based initiatives to create a healthier, greener and sustainable urban center. See how London as a city is working to be more eco-friendly. Set you today for East London where you will take a guided tour of the Thames Barrier. Hear about the River Thames, its history, it ecosystem, and how it affects city operations. The guide will explain how the barrier serves to protect London from river flooding. Following the tour, continue on to The Crystal, the world’s most sustainable buildings. Inside is the largest exhibition on urban sustainability in the world. Learn about progress in our urban centers, and become part of the dialogue on how to create a more sustainable future. Later this afternoon, make your way from East to West London to visit the Natural History Museum. Explore the museum and its many exhibitions at your own pace. Be sure to stop by the Wildlife Garden, the Restless Surface, and ecology exhibit. Today you will meet with a representative from a sustainability organization. For example, your group may visit the team at the London Sustainability Exchange, an organization working to create a network of individuals with the will and passion to put sustainability into practice. After your stop, head on to the Royal Institution where you will take a self-guided tour the Faraday Museum. Complete your day with a visit to one of UK’s premier universities. Here, sit in on lecture about entrepreneurship in sustainability. This morning, travel via train to just outside of London where you will visit BedZed, the U.K.’s first eco-community. The community is designed to only use renewable energy generated right their on site. BedZed is truly an incredible example of sustainable living. At the information center, learn about the construction and development of such a community. This afternoon, return to London for a free afternoon.